Injuries caused by a negligent party can range from minor to serious to life-threatening. Some victims require ongoing medical attention for the rest of their lives. If you or a loved one has sustained a catastrophic injury, it’s important to contact an accident lawyer in Riverside promptly. Catastrophic injuries can lead to exorbitant medical bills and other expenses. By contacting an accident lawyer right away, you can preserve your right to file an accident lawsuit to seek just compensation. Many types of injuries could be classified as catastrophic injuries. Generally, this category of injury includes any that inflict severe, long-term or permanent consequences on the individual. These consequences may refer to disability or disfigurement. An example is a spinal cord injury that leaves the victim permanently paralyzed. Another might be a dog attack that causes vision loss and major facial disfigurement. Severe burns, amputations, traumatic brain injuries (TBIs), and similar injuries are all examples of catastrophic injuries. Catastrophic injury cases are the most likely to lead to substantial compensation. However, it’s important not to rely on the insurance carrier to offer a just settlement. 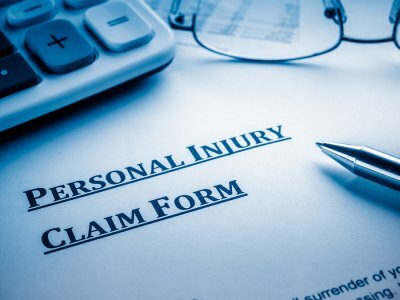 Quite often, victims with catastrophic injuries will need to file an accident lawsuit with the help of a seasoned attorney. The attorney will calculate the damages, gather together evidence, and file the necessary paperwork. 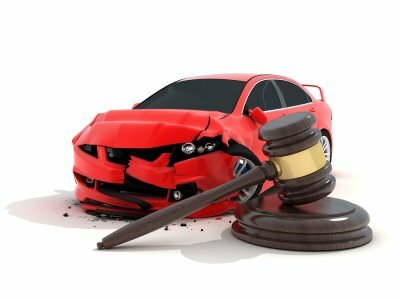 Evidence that proves neglect or intentional wrongdoing in catastrophic injury cases might include traffic camera footage, photographs of crash sites, eyewitness testimony, and medical records. Calculating damages is often a straightforward process for simple accident lawsuits, but in catastrophic injury cases, complex factors must be considered. Survivors of these injuries are typically unable to work after the accident. The attorney may need to hire an expert to develop an estimate of the survivor’s anticipated lifetime earnings that he or she would have been able to receive were it not for the injuries. A life care planner may be needed to thoroughly assess all of the survivor’s future medical and personal care needs. All past damages, such as hospitalizations and pharmacy expenses, will also be added to the total. Finally, damages may include non-economic damages like compensation for mental anguish and pain. How Are Compensatory Damages Calculated in Slip and Fall Cases? All personal injury cases are a little different. To accurately calculate an estimate of how much your slip and fall lawsuit might be worth, you’ll need to schedule an initial consultation with a personal injury lawyer near Riverside. A slip and fall lawyer will review all relevant documentation and thoroughly assess your case to ensure that you receive all of the compensation to which you’re entitled. Because deadlines apply to filing personal injury cases, it’s best to consult a lawyer as soon as possible. Your slip and fall lawyer will request that you save all of your medical bills, co-pay receipts, and similar items. 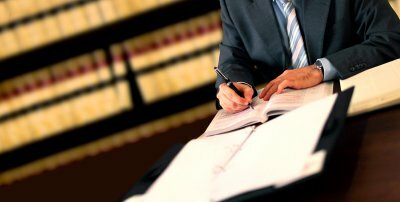 Provide your lawyer with copies of these documents. Your lawsuit may seek compensation for your emergency transportation via ambulance, hospitalization, diagnostic tests, surgeries, and other medical treatments. You may be entitled to receive compensation for physical and occupational therapy sessions, and you should receive compensation for your medication expenses. Personal injury lawsuits can request compensation for both past and future medical expenses. Your lawyer will add your total medical expenses to your lost wages. Keep careful track of all of the hours you miss at work and how much money you’ve lost because of the accident. If you have sustained long-lasting injuries and cannot work or can only work in a limited capacity, then you may receive compensation for your loss of earning capacity and future wages. In addition to medical costs and lost wages, recovering from a slip and fall injury can force you to incur unexpected expenses. You should keep track of gas purchases that were required to go to and from medical appointments, including physical therapy sessions. Perhaps you had to travel to see a specialist for your injuries. Keep track of your travel expenses. Save receipts for any durable medical equipment you may have required, such as crutches or a wheelchair. Non-economic losses refer to those that cannot easily be calculated, such as mental anguish, pain and suffering, and loss of companionship. Let your slip and fall lawyer know about all of the ways that the accident and your injuries have affected your daily life or diminished your quality of life.